You can help us raise the funds we urgently need to grow our school, and help us to grow our wider St Yared's community at the same time. Any fundraising event large or small will help us build and equip a bigger school to break the poverty cycle for even more children and their communities in Addis Ababa. Click here, to find out what we need to fundraise for this year, and remember to tell everyone who donates about the work we do at The School of St Yared and our amazing students! Not sure what event to put on? Have a look at our suggestions below. Run, walk, swim, surf, ride, skydive, bowl, hold a tennis tournament, or whatever you fancy to raise funds for The School of St Yared. Get your friends together and have a fun day car washing or put your lawn mowing skills to good use and let your friends and family know. Charge a fee for your services! Hold a Coffee Morning: get your friends' or colleagues together to sample some of Ethiopia's finest coffee beans (sponsoring a child costs around $4 per day, the same price as a cup of coffee!). Dinner party: ask your friends/family to come around for dinner or a BBQ and charge $20 p/head. Games night: Invite your friends for Bingo, Trivia, Karaoke, or even a screening of your favorite movie. Collection: Make a collection jar and ask for donations from your office, at your Christmas party, Melbourne Cup party etc etc. Bake Sale: Everyone loves baked goods. Bake your favourite cupcakes, cookies or whatever you fancy and sell them to your friends, colleagues and classmates. 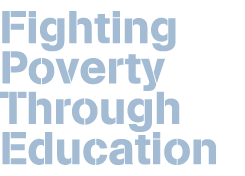 Raffle: ask local businesses to donate prizes to help Fight Poverty Through Education and sell tickets to your friends, colleagues and wider community. In lieu: in place of a gift for any special occasion ask friends and family to donate to The School of St Yared and help to Fight Poverty Through Education. Retail therapy: ask people to sacrifice three items from their weekly shop and donate the funds instead.